An interesting development regarding Antonio Cassano’s future occurred just few hours after the tribunal decided that the player should stay in Sampdoria, according to Italian media the troubled player will sign with Ac Milan soon. Although there hasn’t been any official announcement from all parties but the press believes Cassano has agreed terms with the Rossoneri and will soon leave the Blucechiarti and join the fashion capital side. 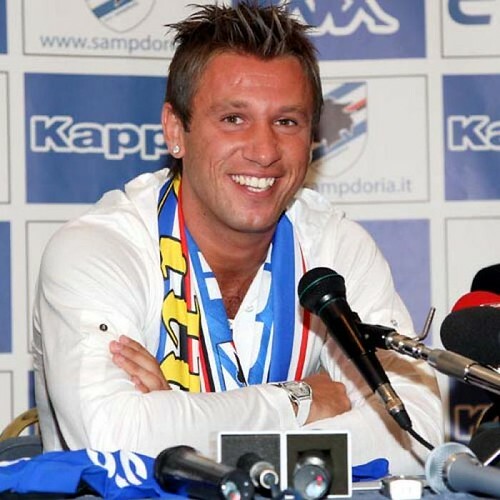 Considering the fact that the tribunal has rejected Sampdoria’s wish to terminate Cassano’s contract, pretty much means that Milan must purchase him if they wants his service, fortunately considering the current situation it supossedly won’t be hard to prize up the talented Italian. Reports from the media claim that the Rossoneri and the player’s agent, Beppe Bozzo, has strucked a deal over a dinner, which resulted in the decision that Massimiliano Allegri’s side will sign him until 2014. There are still no words on how much Milan must cash out to sign Cassano from Sampdoria, but since he is not a free agent, it would likely the Rossoneri must at least provide around 5 Million Euro which was the money Sampd’s owe to the player’s previous club, Real Madrid. There’s a possibility that there will be an extra cash involved, although considering the anger of Blucerchiati’s president, Riccardo Garrone, towards the Italian international, there’s a big chance he’ll accept anything just to see Fantonio leave Genoa. Although Milan’s vice president, Adriano Galliani, hasn’t confirmed about the deal, he did hinted out about the potential transfer stating how Cassano fits with their requirement for January signing. However, the press already smells something going on about the deal since Galliani was the one reportedly seen having dinner with Bozzo and sealed the deal about the Italian international potential move to San Siro. This news is surely an interesting one as although it sounds that Milan might not actually need Cassano, however considering the fact that they could play the Italian international as a trequartista and Ronaldinho might leave, the arrival of the former Bari youngster makes thing looked natural. Stating that almost all of the clubs previously linked with the troubled player have all backed down including Inter Milan, it seems that the Rossoneri might actually had everything in place and all that’s lacking is only the official announcement.